I am sitting by the open french window reading my favourite blogs when a tiny little wren pops in through the door. This is amazing as yesterday another little bird flew in throught the same door. I was sitting reading and saw a bright yellow streak flash by my newspaper. 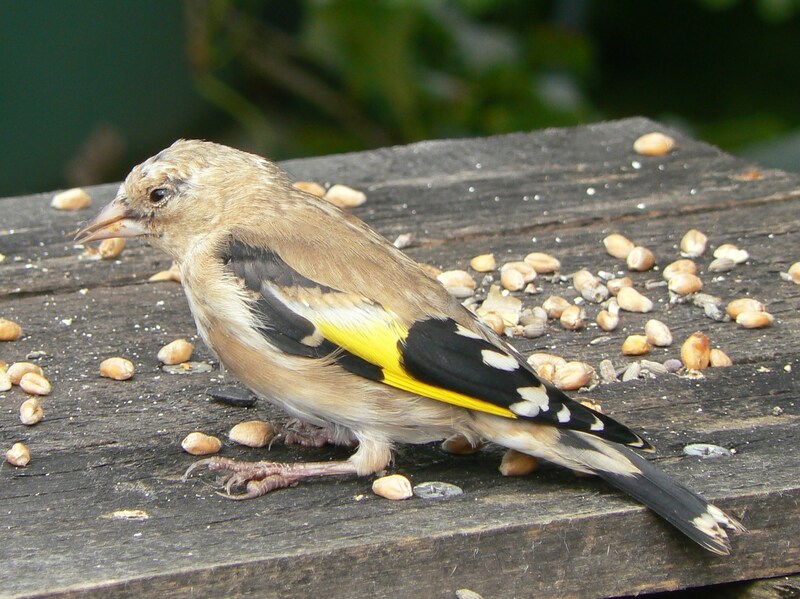 It was a young female goldfinch. It settled down beside my chair totally oblivious to my little dog, Dayna, sitting beside me. I was so worried that Dayna might hurt the bird that I put don my hand to chase it out. 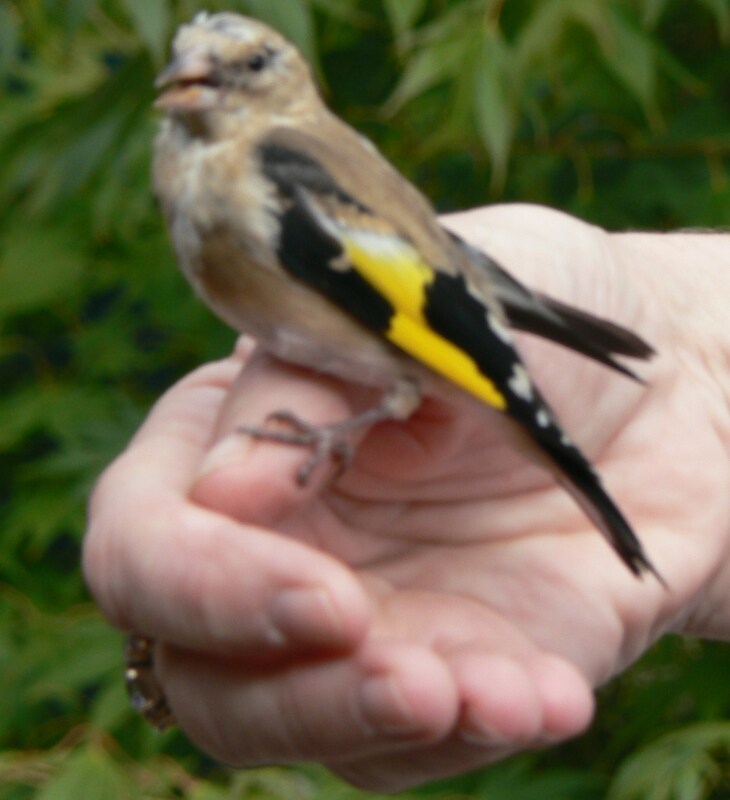 The little goldfinch grasped my fingers and let me carry it out into the garden. It showed no signs of being willing to fly off so I tried putting it on the bird table with some food ~ but there it sat staring at me. 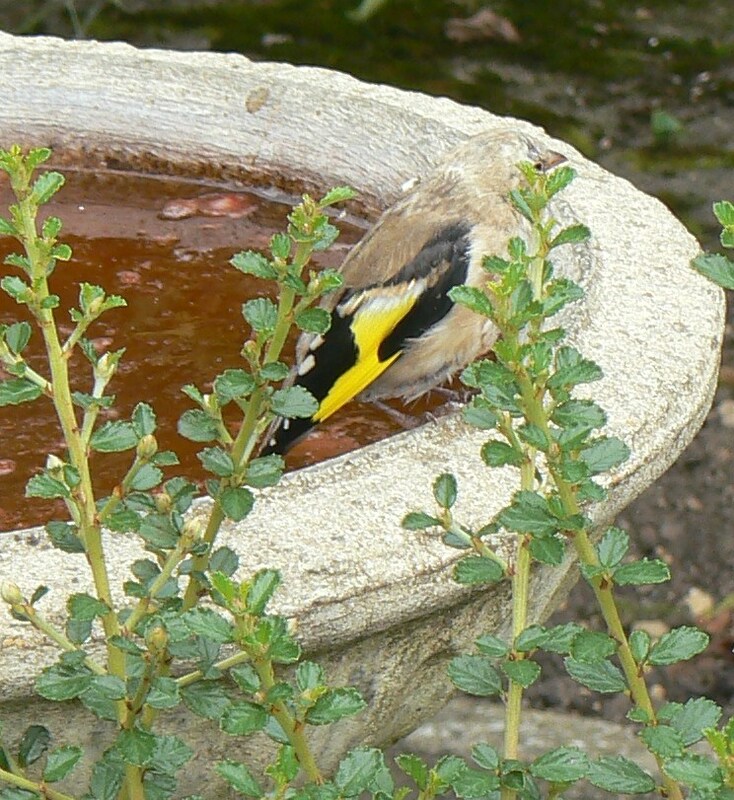 Popping back onto my fingers I moved it to the bird bath thinking some cold water might jolt it into flying away. But no, it seemed quite happy to sit there and watch me. At last I got my camera to take photographs of it as it posed. It was a big burly pigeon who eventually frightened it off. I was thrilled to see it soar into a nearby tree. Was it newly fledged and unaware of danger? Was it disorientated by flying indoors? I don’t know but I will always be thrilled that for a few minutes I was able to get so close to such a beautiful creature. This entry was posted in Birds, Cotswolds, Dogs and Pets, Natural World. Bookmark the permalink. Oh what a lovely experience! Thanks for sharing. And love your photos of the event.